At our Woolwich, NJ dental office, we are committed to providing our patients with compassionate and professional dental care of the highest standards in a comfortable and relaxed environment. We utilize the most current dental technologies and techniques to help you achieve a smile that you can be proud of. At our practice, you will receive individualized treatment based on a careful diagnosis of your dental health. Is it Possible to Save a Knocked out Tooth? How Much Pain Does a Root Canal Involve? Don’t be a parent who believes that dental care doesn’t matter until your child has adult teeth. Just because your child has baby teeth doesn’t mean dental problems aren’t a very real possibility that can be avoided with good oral care. Without proper care, teeth can decay and lead to cavities, infections, gum disease, abscesses, pain, and development delays. Infections that begin in the mouth may spread to cause other health problems. It just doesn’t make sense not to begin teaching your child good oral care habits as a youngster, so that healthy teeth and good habits are likely for life. Do not give your child bottles at bedtime containing anything other than water. Milk, chocolate milk, juice, and even diluted juice are all hazardous to your child’s teeth if left on them overnight. Limit the amount of sugary beverages your child drinks at any time of day. Soda and undiluted juice are drinks to avoid. Steer your child away from eating sticky or hard candy, popcorn, nuts, or other foods that tend to stick in their teeth. Try to wean your child from sucking on a pacifier or thumb past age 2. These habits can alter the shape of the mouth and create more likelihood for orthodontic treatment becoming necessary in the future. Begin cleaning your infant’s gums even before the first tooth appears, by wiping the gums with a soft damp cloth. After teeth begin to erupt, start brushing them with a soft small toothbrush and a little dab of toothpaste. Usually by about age 5, children can begin brushing their teeth by themselves. Supervise your child’s brushing and help if they aren’t doing a thorough job. Teach your child to sing a song like Happy Birthday or the alphabet during brushing to ensure they spend enough time at the task. Start taking your child to the dentist for checkups around their first birthday. This will help your child become accustomed to dental visits and decrease the likelihood of anxiety about the dentist, not to mention providing good oral care for your child. 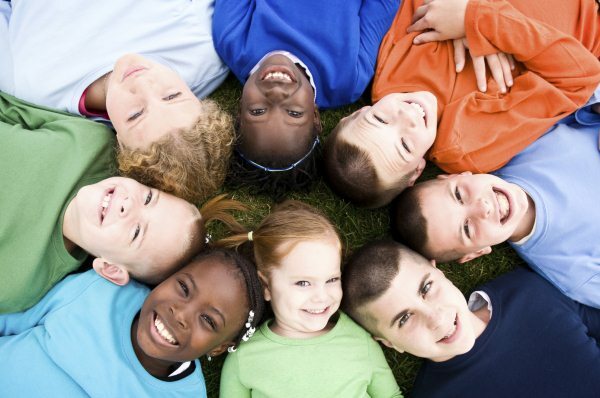 Kids dentist in Woolwich NJ – Schedule your childs visit today! If you have severe tooth pain that your dentist has determined is resistant to healing, it may be necessary to seek the help of a specialist called an endodontist. Sometimes endodontic surgery is needed to fully restore your tooth and relieve your pain. If you are referred to an endodontist, here is some information to help you understand what that means. An endodontist specializes in the roots of your teeth. The heart of your tooth can be damaged from deep decay, large fillings, repeated dental procedures, tooth cracks or chips, or trauma. These types of damage can cause severe oral pain, and you’re going to want to get it repaired in order to feel good again. An endodontist receives lengthy training in performing all parts of root canal treatment, including both routine and complicated root canals, retreatments, and endodontic surgery. Endodontic surgery, called an apicoectomy, is especially useful for patients who have a tooth that isn’t healing and needs more extensive examination to identify the problem. Surgery may be the only way to diagnose the issue and get treatment that will fully heal the tooth and the pain associated with it. Your endodontist can find fractures or canals in your tooth that are harming your teeth and gums, leading to oral pain. Endodontic surgery is also a solution for patients with damaged root surfaces, because the surface and surrounding bone are also treated during surgery. 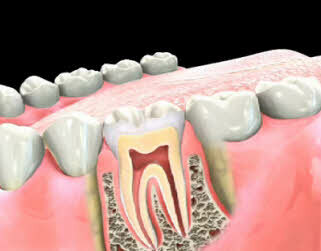 During the surgery, the gums near your affected tooth will be opened to allow examination of the underlying bone. Infected or swollen tissues will be removed, as well as the tip of the tooth’s root. These samples will be sent to a lab for analysis to aid your endodontist in identifying the reason for your pain. Once the sample has been collected, your gums will be sutured for proper healing. Sometimes the reasons for oral pain aren’t obvious or easily diagnosed. If this happens to you, don’t hesitate to visit an endodontist for possible surgery to help with diagnosis and treatment to get rid of your tooth pain. You might not think of beauty when it comes to filling a cavity, but composite fillings offer an aesthetically pleasing look compared to materials used in the past. If you need to have a restoration like a filling, you might as well get one that looks nice in addition to providing the function you need. Also known as white fillings, composite fillings treat decay while maintaining the natural appearance of your tooth. Composite fillings serve the same purpose of other types of fillings; they are used to fill holes in teeth that are caused by decay or other damage. They are created to match the color of your tooth using a shade guide. Dentists are able to correct tooth decay, yet have relatively no effect on what your tooth looks like. Appearance isn’t the only advantage composite fillings have over other options like amalgam, or silver, fillings. White fillings require less of your tooth to be removed, because they are able to stay securely in place without grinding down your original tooth. This promotes the stability of your tooth so there is less risk of it being weakened and potentially breaking apart. Because there is more tooth structure left in place, if the need ever arises for subsequent work on your tooth, it is possible. 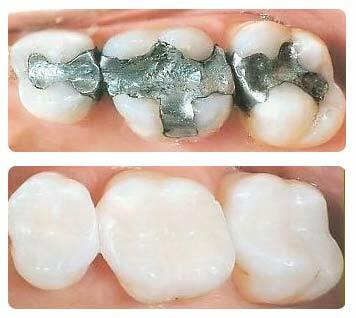 Patients who need further work after an amalgam filling are often faced with getting a crown. Composite fillings can help avoid more invasive treatments like crowns. Another benefit of white fillings is that they don’t cause discoloration on your tooth or surrounding gums. Aging amalgam fillings can create a dark or bluish color in the area around the filling, but composite fillings don’t have this risk since it is the same color as your tooth. Composite fillings can be placed anywhere in your mouth that they are needed without worry of being noticeable. They bond securely to your teeth, and you can feel confident laughing and talking as if no restoration were ever done. All of these benefits add up to the beauty of composite fillings. Taking good care of your teeth and gums will help you maintain a great smile. In order to avoid dental issues and diseases, you must practice good oral hygiene and see your dentist regularly. Following these tips will protect your oral health as well as your overall health. At least twice every day, brush your teeth using fluoride toothpaste and a soft toothbrush. Follow your dentist’s instructions for reaching all areas of your mouth using a gentle circular motion with your toothbrush. 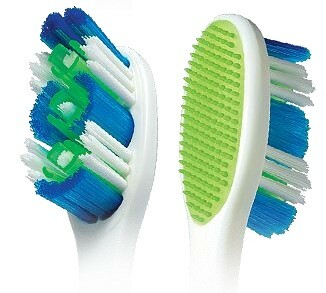 Replace your toothbrush every three months or when it begins to look worn. Using dental floss helps you remove food particles and plaque that are trapped between your teeth. Also, it’s an important part of preventing gum disease. Do your best to stop smoking because it stains your teeth and causes bad breath. Avoid consuming drinks like red wine and coffee that are known to discolor teeth. Maintaining a nutritious diet full of vegetables and fruits can promote healthy teeth and gums. Consider taking vitamin supplements that are known to improve oral health. For example, calcium and Vitamin D both help strengthen your teeth and bones. Also, Vitamin C can help keep connective tissues like your gums healthy. Choose a reputable and qualified dentist in your area for regular visits. You should strive to have checkups every six months, which consist of thorough examinations and professional cleanings. It is best to maintain checkups even when you don’t suspect you have dental issues, because your dentist can identify problems early and pursue treatment before your condition worsens.